Ever wanted to play the guitar? Or any musical instrument, for that matter? Now you can with the new QChord. Anyone can play QChord the first time they try. QChord can play up to 84 different chord combinations....automatically. There's nothing to learn. 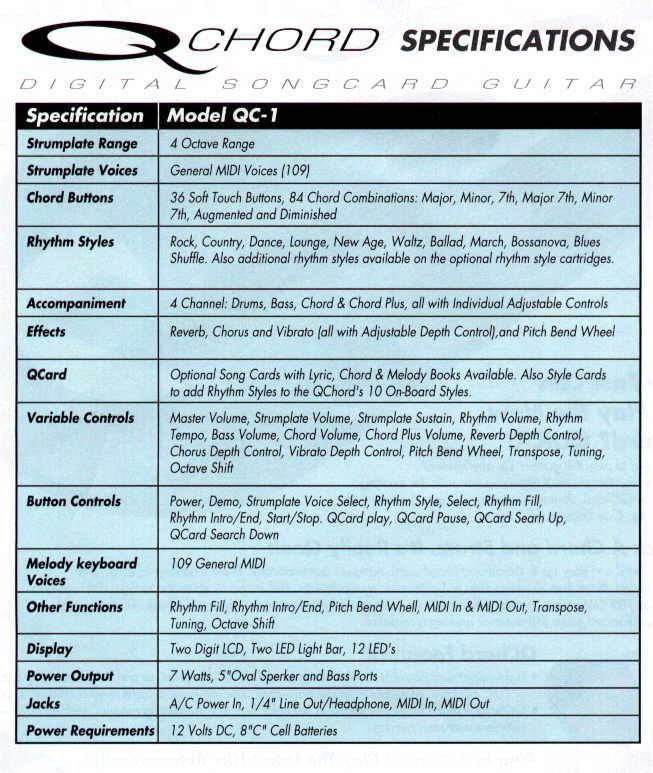 Your selected chord downloads to a 4 octave string touchplate. Pick a chord, strum the strings. 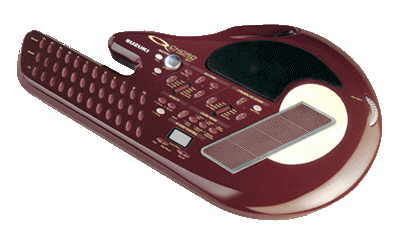 QChord also has 109 GM voices, drums, effect controls, melody keyboard, even a pitch bend wheel. Always in tune, you'll sound great without ever making a mistake! QChord is lightweight and portable, and can be powered with 8 "C" batteries or an optional adaptor. 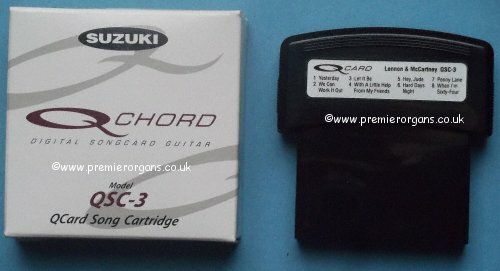 QChord is packaged in full colour box with instruction manual, melody keyboard and self demonstration overlays. Also available are hard carrying case, QChord song cartridges and songbooks. Optional QCard song cartridges contain 6 - 12 fully orchestrated accompaniments of today's most popular songs, in many musical categories, like pop, blues, country, religious, etc. Pick your favourite, plug it in and play. You'll be instantly playing along with your favourite artist. 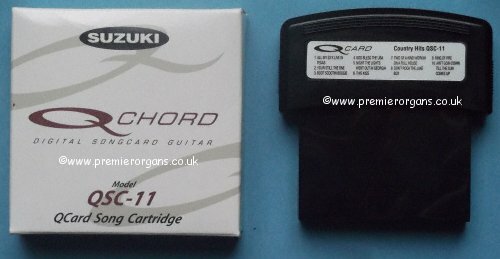 QChord does the rest. Advanced sound system with bass port gives concert hall sound. For more advanced play, QChord has an onboard melody keyboard. Whether you're a professional or just starting out or you want to have great fun creating music as a hobby - buy one as fast as you can. YOU'LL TOTALLY FALL IN LOVE WITH IT. Beautifully orchestrated Song Cards contain your favourite song titles in many different music categories, as well as printed lyric sheet. Just plug one in and strum. Each book contains all the songs of the corresponding Song Cards, plus many more.